In the middle of Copenhagen, you’ll find the amusement park Tivoli, which has four million visitors a year and is an incredibly popular place to visit. There are many different rides for both children and adults and they’re sure to keep you entertained for several hours. The environment at Tivoli is often said to be cosier than a lot of other amusement parks and it’s also known for being especially kid-friendly, which makes it a perfect excursion for the whole family. You can also visit Tivoli during Christmas when the entire amusement park is transformed into something truly special with all its Christmas markets, Christmas entertainment and the sea of Christmas lights. Strøget is a pedestrian street in central Copenhagen and stretches from Rådhuspladsen to the West all the way to Kongens Nytorv in the East, totaling about 1.1 kilometres. The fact that it’s over a kilometre long actually makes Strøget one of the longest pedestrian streets in the world. Predominately shops and galleries dominate the Strøget street and you’ll find everything from Zara and H&M to more luxurious stores like Gucci and Bang & Olufsen. However, naturally, there’s more than just a bunch of shops; museums, restaurants and cafés can be found as well. The street is known for its street entertainment too, so it shouldn’t come as a surprise if you come across a range of different street musicians or performers while walking along Strøget. Christiana is a neighborhood in central Copenhagen that had previously been a military facility for the Danish marines, but was shut down in 1971 and occupied by hippies. These hippies declared Christiana as a free state and took over the entire area. The reason that they chose Christiana specifically was primarily because they wanted to take over something that used to belong to the military and then make it into a peaceful place. The Danish authorities tried to get rid of the hippies as first but they eventually gave up since there was a constant stream of people coming in. There have been many attempts to close down Christiana over the years but the neighborhood is still there today and acts as a safe haven for people with alternative lifestyles. The neighborhood has also become a big tourist attraction that is visited by thousands of tourists annually. You can go on a guided tour inside Christiana. Visiting and seeing the statue Den Lille Havfrue at the harbour might be one of the biggest ”musts” to experience in Copenhagen. Den Lille Havfrue, or the Little Mermaid as it’s called in English, was created by the sculptor Edvard Eriksen and portrays the character from the book with the same name as the statue, which was written by the world-renowned Danish author H.C. Andersen. Den Lille Havfrue is the most popular attraction together with Tivoli for tourists, and it’s visited by over a million people every year. Whether or not you’re a beer enthusiast, it might be fascinating to visit one of the most well-known breweries in the world: Carlsberg’s brewery in Copenhagen. You can go on a guided tour at the location and learn more about beer brewing and Carlsberg’s history. There’s also an opportunity to taste different kinds of beer during the tour, for those who are interested. This brewery is one of the oldest in Scandinavia and was founded at the end of the 19th century. Nyhavn might just be the most beautiful and cosiest neighborhoods of Copenhagen. This is a great place to take a break and just relax for a couple of hours amongst its colourful, beautiful buildings and the 18th century harbour. There are plenty of nice restaurants, cafés and small shops to spend time in. You can also be entertained by the different street artists around the harbour! Nyhavn is particularly beautiful when the sun is shining since the colours of the buildings and boats are illuminated and stand out beautifully. Wallmans’ circus building in central Copenhagen can be likened to a circus tent due to its circular shape and dome. A few days a week, usually Thursdays and Saturdays, Wallmans’ popular circus show takes place—including for example acrobatics of world class. Visiting one of these shows is usually a successful all-nighter with food, drinks and entertainment. With the internet and telephone being almost always accessible, it’s easy to forget how people communicated with each other from a distance back in the day. At the Post & Tele Museum you’ll learn what it was like to keep in touch with people before computers and other electronics existed, and also about how communication technology has developed throughout the years. There’s a lot to do and discover at the museum. Here you’ll be able to see everything from stamp collections dated between 1851 and 1998 to one of the world’s first cell phones, which weighed 11.5 kg. There’s also a playground where the kids can play postmen. The parks and green areas around Frederiksberg Palace are a really nice place to visit after having wandered around the streets of Copenhagen. The palace and its surroundings can be likened to an oasis, which is visited mainly during the spring and summer by both Copenhagen locals and tourists to picnic, sun bathe, walk around or just relax. If you’d like to, there’s also an excellent opportunity to take a closer look at the palace, which was made in the Italian Baroque design between the years 1699 and 1703. If you’re interested in trying out the traditional Danish bread smørrebrød, you should visit Restaurant Schønnemann. This restaurant was founded in 1871 and has been one of the most popular places to eat smørrebrød among the Copenhagen locals for a long time. You can choose from a long list of different smørrebrød, with everything from mushrooms to spicy picked herring. The price is around 50 DKK and up. Schønnemann is a traditional Danish restaurant and well worth a visit for anyone wanting to explore Danish cuisine. Danish design is world renowned and has long been extremely important for Danish export. A piece of Danish design history is displayed at the Designmuseum Denmark in the shape of classic works from famous Danish form creators Kaare Klint, Poul Henningsen and Arne Jacobsen. In addition to Danish design, the museum also has a large collection of various historic design objects from other countries in Europe and Asia. Den Blå Planet is a freshwater and saltwater aquarium and is a nice place to visit for those who are fascinated by life in seas and oceans. There are 53 different aquariums in total with over 20,000 fish from all corners of the world. Seals, sharks, rays, eels, crocodiles, snakes and piranhas are just a few examples of animals that are living at Den Blå Planet. The largest aquarium is eight metres deep and allows visitors to walk through a passageway so that they’re able to watch the fish from all angles. A visit to Den Blå Planet is a great trip for the whole family and will certainly improve your knowledge of the fantastic ocean and sea wildlife. Amalienborg is Denmark’s Royal Palace and this is where the Danish royal family live when they’re not out on different engagements. You can go here to watch a traditional changing of the guard every day at lunch, exactly like at Buckingham Palace. Much of the ceremony taking place is similar to the one in London but there are some differences. In particular, the environment is completely different and the guards also wear the traditional busby. The entire guard changing takes about thirty minutes but it’s alright to come and go as you please. Glypoteket is a big art museum in Copenhagen with paintings and sculptures from several countries. The museum was founded at the end of 1800s by the Carlsberg founder Carl Jacobsen, who had managed to build one of the world’s greatest art collections at the time. A lot of the art is ancient and comes from Egypt, Greece, the Near East and Italy. The museum is partially divided, featuring art from different parts of the world. For example, there is a French section of paintings from renowned French painters. The museum also has different exhibits with photographs—and much more. The displayed exhibits are constantly changing so if you want to find out what’s available during your visit, you can visit Glypoteket’s website for more information. What’s really special about Glypoteket is the large winter garden conservatory, which is perfectly suited for those who want to get some greenery and warmth during the cold Danish winter days. There’s also a cafe in a beautiful setting in the middle of the winter garden. Cisterne is a museum of modern glass art situated underneath the streets of Copenhagen. The museum is located down in the old drinking water tanks of Copenhagen, which used to house several million litres of water. Just visiting the underground premises is an experience in itself and the different environment is truly something special. The modern glass art is really fascinating and something that most people appreciate, whether they are interested in art or not. 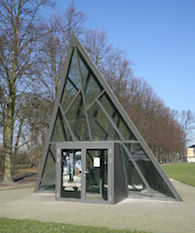 The glass art on display was made by several well-known Danish designers, such as Robert Jacobsen, Carl-Henning Pedersen, Peter Brandes and Tróndur Patursson. The selection of exhibitions is constantly changing with different artists and themes. There’s a great opportunity to get your hands on some bargains at one of the city’s flea markets, if you’re in Copenhagen during the weekend. If you’re lucky you might be able to find Danish design, cool clothes or other things at a really low price. On Saturdays and Sundays, you can hop around to a number of different indoor flea markets in Copenhagen. 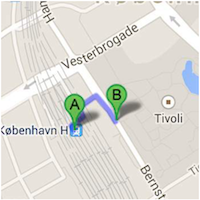 One of these indoor flea markets is Remisen, which is located next to Trianglen in Østerbro. The good thing about this flea market is that it’s never cancelled due to bad weather, but it’s only open on selected Saturdays and Sundays so it’s best to check in advance if they’re open or not. Another indoor flea market that you can visit during your Copenhagen stay is Den Blå Hal. All year round, on Saturdays and Sundays between 10-4, this big "hall" is open and it’s always crammed with goods. The surface is 2,000 square metres in total and you’re more than likely to find something that catches your eye—no matter what you’re after! If you have plenty of time on your hands and you’re prepared to get out of the Copenhagen city centre, a small excursion to Dragør might be a good experience. Dragør is a small village located south of the Øresund Bridge and it’s a great place to visit in order to get some rest from the pulse of the big city. What’s really fascinating about Dragør is the preserved architecture from the 1700s and 1800s, and as a visitor it’s not difficult to feel at peace when walking around the quaint cobbled streets and alleys of the city among all the yellow-painted houses with their red roofs. Tower, or Tower of Christiansborg Palace, was opened to the public as recently as 2014. It’s totally free to climb up the tower and once you’re up there you get a fantastic view overlooking Copenhagen. The tower is the tallest in the city and when you gaze out over the rooftops you will most likely see the streets, buildings and other details of the cityscape that you had not previously noticed. 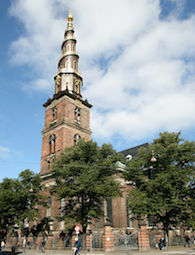 Another place that offers a really good view of the central parts of Copenhagen is the church tower in Vor Frelseres Kirke. The church tower is located in a different part of town so you’ll have a slightly different view compared to the top of the Christanborg Palace. The road up to the church square consists of a long swirling staircase and at the top, just like at Christianborg Palace, you’ll see new and interesting parts of the cityscape that you hadn’t been able to see from the ground. An excellent place to visit to quickly get away from the lively city centre and relax for a moment is Det Kongelige Biblioteks Have (The Garden of the Royal Library). You can sit down at one of the garden’s banks or walk around amongst the beautiful plants, flowers, fountains and birds singing. You can also look at different gorgeous sculptures, with the statue by Søren Kierkegaard front and centre. There’s also the possibility of sitting down at the Café Funder to grab something to eat or drink. The Danish Royal Navy has a distinguished history, especially when it comes to the wars against Sweden where they played an important role. Orlogsmuseet in Copenhagen is an excellent place to visit for those who want to learn more about our neighbour’s naval history. Inside the museum you can follow the country’s naval history by seeing exhibitions and various objects linked to the fleet over the centuries. You can also look at specific sections of Danish history where the fleet played an especially important role. The museum also has a section for children that is full of fun activities and interesting experiments. Dansk Jødisk Museum is a museum that lets visitors enjoy and learn more about the Danish Jews and how they’ve made their mark on Danish society and culture. With interesting exhibitions consisting of photos, art and various objects you’ll get good summary of the Jews’ 400-year long history in Denmark. In addition to the permanent exhibitions, the museum also has different themes that are constantly changing. There are guided tours of Copenhagen, for instance, where you’ll get to see places that have played an important role in the persecution of Jews when Denmark was occupied by the Nazis. Danish design and its well-known designers are easy to familiarise yourself with at several locations in Copenhagen. A place that can almost be likened to the heart of Danish design is the Danish Design Centre. The centre is located in a beautiful building with several floors, designed by Henning Larsen. Unfortunately, only one of the floors is open to the public, but this is also the one where the DDC’s museum is located. At the museum you’ll find a 900 square metre area full of cool design objects from some of the most successful designers. Most European cities have halls with history going back several centuries, but in Copenhagen it’s a little different. 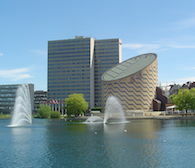 Torvehallerne, which are the city halls, were built as recently as 2011. The total surface is about 7,000 square metres and you’ll find good food and various delicacies everywhere. With all the goodies available here, Torvehallerne is a great place to visit for a good lunch or to buy some nice Danish delicacies to take home. If you have an hour or two and quickly want to find something to do, you can visit Fun City to play a round of miniature golf. What distinguishes this from most other mini golf courses is that it’s indoors. So if you’ve managed to come to Copenhagen in the middle of a storm, you can go and play a round of miniature golf without any problems. The miniature golf course has eighteen holes and people of any age can come and play. The price for children is about half the price of what it costs for an adult to get on the court. Fun City also has bowling lanes where you can hit off a ball or two. Opening hours are 10:00 to 23:00 every day of the week. About twenty minutes by train from Copenhagen is the city of Roskilde. In addition to the large area where the classic Roskilde Festival is held annually, there are several other sights and attractions. For example, you’ll find Vikingeskibsmuseet (Viking Ship Museum) there, which is one of the main Viking museums in Scandinavia. There are remains of five original ships in total but other objects from the Viking period presented as well. Roskilde is also known for the city’s Cathedral—a UNESCO World Heritage Site. There’s also the port where you’ll get a beautiful view of the Roskilde Fjord, making it a very pleasant place to visit. If you visit various different travel and review websites, you’ll discover fairly quickly that one of the museums that is usually ranked very highly by former Copenhagen visitors is Davids Samling. Davids Samling is a large art collection consisting of art from 1700s Europe, the Danish Golden Age and the Islamic world between the years of 600 and the 1800s. It’s different from most other art museums that we are accustomed to seeing in Scandinavia, particularly any Islamic art. Davids Samling is one of Northern Europe’s biggest collections of Islamic art and what is displayed is certainly fascinating. If you’re still interested in taking in the historic art collections, you’ll also find Hirschsprungske Samling in the park Østre Anlæg. 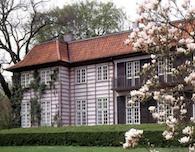 Hirschsprungske Samling derives from the Danish tobacco industrialist Heinrich Hirschsprung, who in 1902 along with his wife donated his art to the Danish state. It predominantly has art from the Danish Golden Age in the 1800s in the form of oil paintings, watercolours, pastels, drawings and sculptures. The collection also includes works of art by Anna Ancher, Michael Ancher and PS Krøyer, who all belonged to the artist group Skagenmålarna. 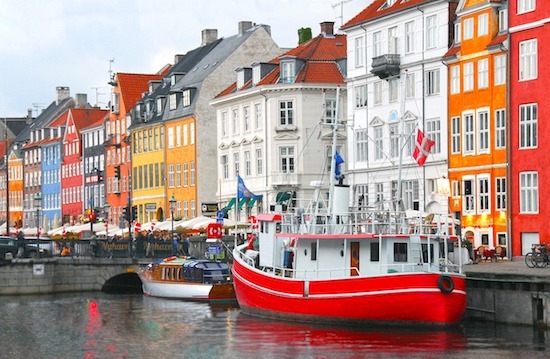 Denmark was one of the countries that endured the German occupation during World War II. This Freedom Museum tells the story of the Danish Resistance movement during World War II and as a visitor you’ll get to hear some of the stories of various resistance groups, the Danes’ everyday life during the war, the rescue of the Danish Jews, the international consequences of occupation and much more. To go on a guided walking tour of a city is probably the best way to quickly get a lot of information and learn about the city’s culture and history. It usually costs money to go on guided tours and that can easily escalate for those who visit in larger groups or families and can be a big expense. However, what’s very positive about Copenhagen is that guided tours are organised with no fees. There are two major operators that organise free walking tours (see websites below) and what’s usually focused on is interesting stories about the Nazi occupation, the resistance movement, the history of Ströget, the Royal Family, the history of various squares and buildings and much more. The tours depart at around lunch from Rådhuspladsen (Town Hall Square). More information can be found on the two websites. It’s said that "Films are best at the cinema", but the question is whether or not this saying should be changed in the near future to something like: "Films are best at the planetarium." Anyway, planetarium films are something extraordinary and at the Tycho Brahe Planetarium, you can sit back and see amazing films on a 1,000 square metre "dome" surface. The selection is quite varied but most of the films that are shown in the dome have some connection to history or nature. For example, it has shown films about the Normandy invasion (D-Day) in the past, and movies about the polar bears in the Arctic and also the Ice Age giants. There’s a café in the central part of the city that’s a little bit different; Café Tranquebar. The unique café is named after Denmark’s only colony in India (Tranaquebar in the state of Tamil Nadu) and what’s different from the classic coffee places is that Café Tranquebar is combined with a bookstore. Most of the books are travel books and guides but there’s also ordinary literature from different destinations and countries all over the world. You can also find products such as textiles, art objects, beers, wines and other curiosities from several countries. If you like travelling, reading and drinking coffee you should definitely visit Café Tranquebar during your stay in Copenhagen. As previously mentioned, there are excellent vantage points in Copenhagen--like for example Tårnet and Vor Frelsers Kirke. However, these sites are only vantage points and not much more than that. If you want to kill two birds with one stone and enjoy a cup of coffee while gazing out over the streets of Copenhagen, you should go to one of the cafés situated at a higher altitude. One of these, and perhaps the very best of them, is the café Hovedtelegrafen. Here you can sit and look out over Copenhagen with a cup of coffee in one hand and a cake in the other. If you have no desire to snack and would rather eat something substantial, they also serve well-prepared food. Ordrupgaard is an art museum located in the north of Copenhagen that focuses on French impressionism and the Danish Golden Age. Some of the world renowned artists displayed there have works in museums like Monet, Gauguin and Hammershøi. Apart from the art behind the museum doors, the entire area surrounding Ordrupgaard is an attraction in itself and well worth a visit. The architecture of the main building, combined with the beautiful surroundings, make Ordrupgaard a place you could visit only for the purpose of relaxation—without any compulsion to go in and look at the art exhibitions.